Goals! Stop Being Scared. Start Growing Bolder! Re: Goals! Stop Being Scared. Start Growing Bolder! The Question that I ask myself is that the individuals or Small Groups, that are the explorers who always challenge status quo, But how does society view them. I'm not sure I'm getting what you are saying in the bit above. Being Scared is part of Life. To keep growing we accept the Fear and do it anyway. Throughout Life, All of us know of Taboos and we Challenge the Taboo and that helps us and others to Grow. @Epster, Great Share! Thanks. I signed up for the newsletter! @saucykicker Yay! I've found their newsletters to be encouraging, uplifting, challenging and informative. All good things as we reinvent ourselves, right? PS I'll respond to your PM later today. My Mahjong fortune this morning. Talk about great goals! These people chose to live and to do it well! Huzzbah to that! What are your goals as you age? To live independently? To climb a mountain? To learn to paint, to write poetry, to sing in public? To adopt a zillion cats? To visit every state? Tell us, let us be inspired by your goals! What are you passionate about? What would you do if you knew that you'd succeed? It can be scary (really scary!) to go outside your comfort zone, but that's where your Growing Bolder journey starts. 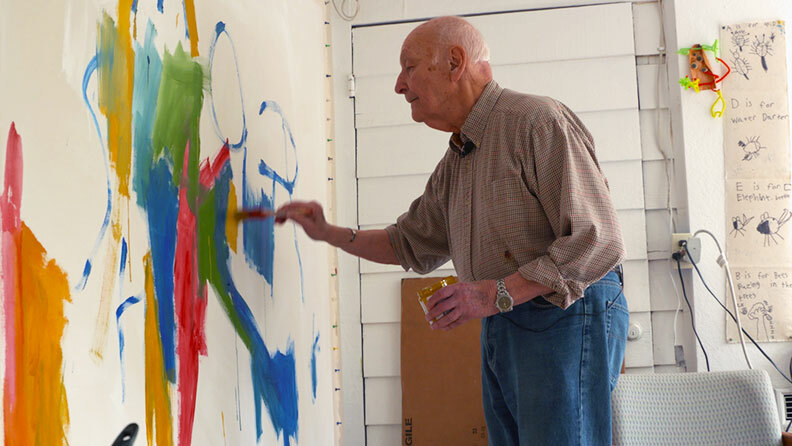 Harold Garde says he refuses to live in regret for things he can no longer do, and instead, he's embracing what he can do, and that's paint -- every day. And he's only worried about pleasing one person: himself. Mariam Paré was an aspiring artist when she was paralyzed in a drive-by shooting. 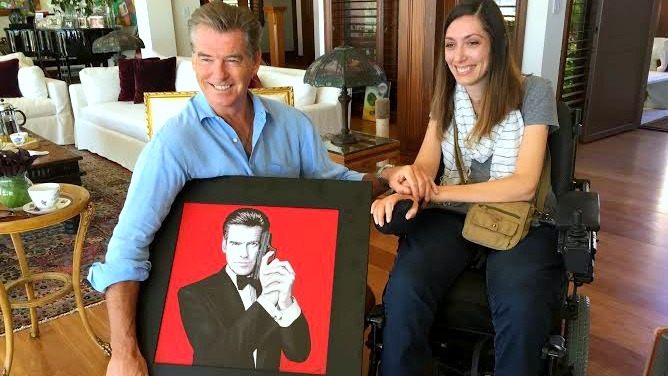 She thought her career was over until she learned how to paint with her mouth (which led her to meeting actor Pierce Brosnan!). 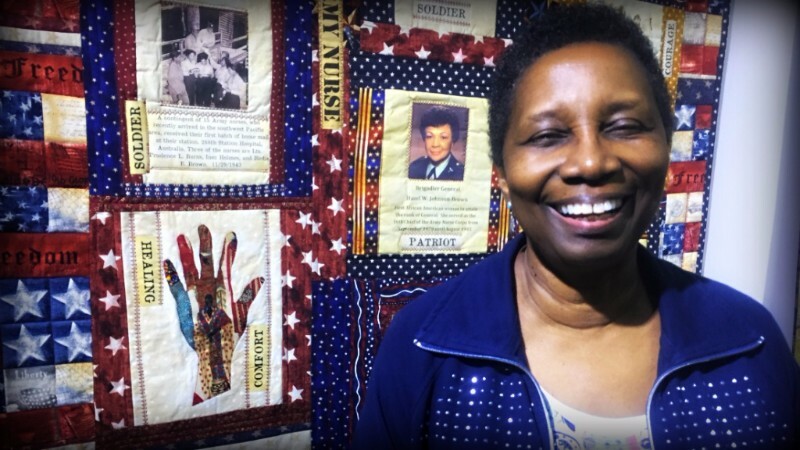 Carole Lyles Shaw’s quilts all tell stories. It's her way of honoring her own creative voice, and shining the spotlight on largely unknown African-American heroes who risked their lives to care for others.